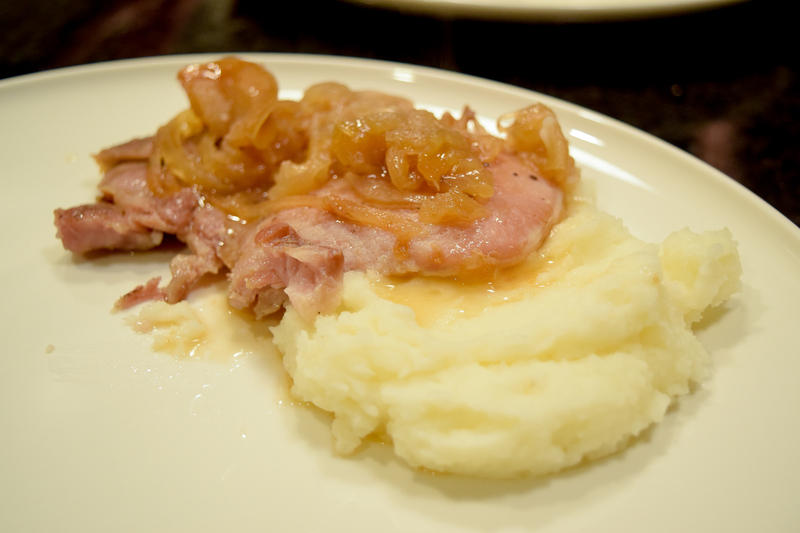 Don’t forget to spoon some of the caramelized apples and onions overtop! Make sure you do not uncover the pork chops even ONE time. You need to keep that wonderful moisture trapped inside to achieve those juicy results. If you keep the oven at 325 F and remove them after three hours they will be perfect. Remember now, not ONE peek! TIP: I use a mandolin to slice the apples and onions. This cuts prep time in half and saves your mascara. Let’s face it. Thinly slicing two large onions is no one’s idea of a good time. Preheat the oven to 325 F degrees. Lightly grease a 9 x 13 baking pan. Place the onion slices in an even layer over the bottom of the dish. Then place the apple slices on top. Sprinkle the brown sugar over the apples. Season the pork chops with salt and pepper on both sides. Arrange the pork chops over the apple slices. Cover tightly with aluminum foil. Bake the pork chops for three hours. Enjoy! 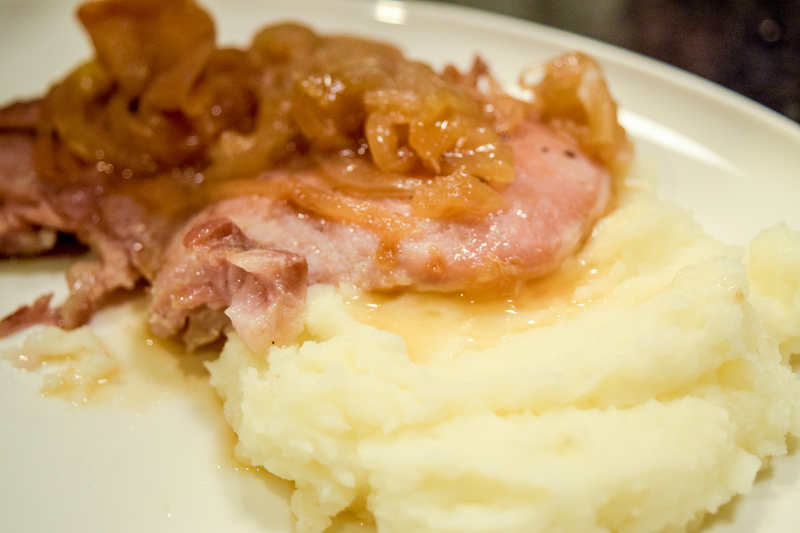 Tags: Pork Chops, Pork Chops with Apples and Onions, Slow Cooked Pork Chops. Bookmark the permalink.